Supplying Fitness Equipment Industry with Electronic Controls for Decades. 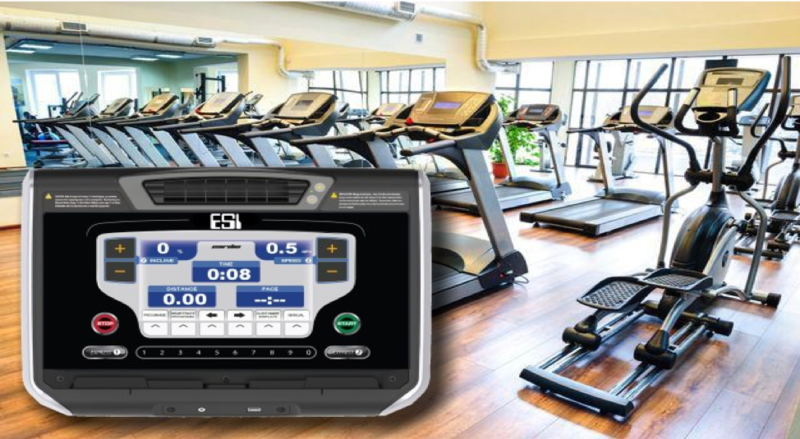 ESITM Electronic Products Corp. is one of the leading suppliers of electronics for exercise and rehabilitation equipment. Look for our electronics in homes, health clubs, and rehabilitation clinics, in equipment manufactured by Nautilus Industries, Landice Treadmills, Biodex Medical Systems, and numerous other manufacturers. We provide custom solutions which incorporate advanced displays and controls. Whether your system needs simple LED-based displays or sophisticated 3D interactive graphics, we can incorporate the features your users require, with a wide range of optional components such as heart rate monitoring, sonar ranging, and cloud-connected network links. With our comprehensive, advanced electronic design and manufacturing services, we provide our customers with complete support, from product development and design through manufacturing and service. © 2018 ESI Electronic Products Corp.